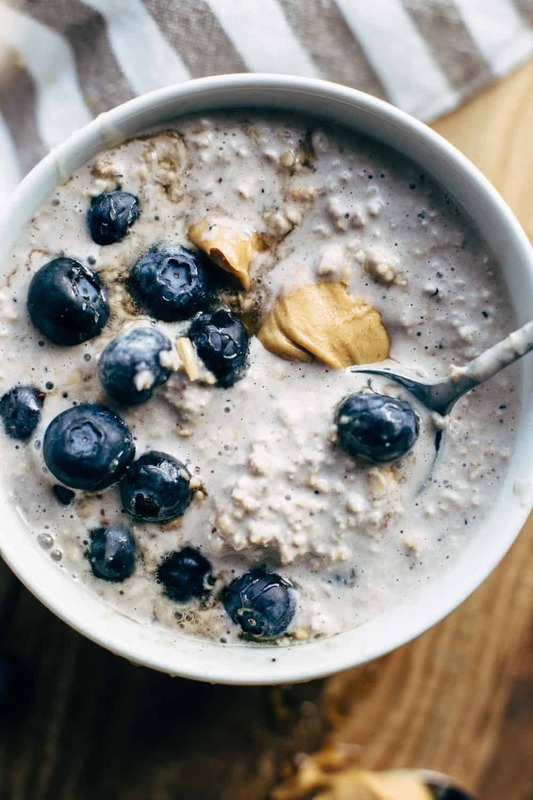 Start your day with these Blueberry Cream Cheese Overnight Oats. 6 ingredients. Blueberries, cream cheese, oats, milk, vanilla, maple syrup. I hope that summertime has already started where you live. We get 81°F this week with lots of sun hours. Now, this is the best time of the year. I love the weather, the flowers, the summer clothes, and summer food of course! Let’s say a big fat HELLO to grilling season, refreshing summer salads, smoothie bowls, ice cream, Strawberry Rhubarb Pie, and all kind of berries. Berries are great. They are healthy, and they are delicious as well. Which sort of berries do you like the most? I can’t say for sure which one I prefer the most because I love them all. But I’m a huge fan of blueberries. They look so beautiful, and the color is unique. They taste sweet and very interesting. There are many health benefits of eating blueberries. 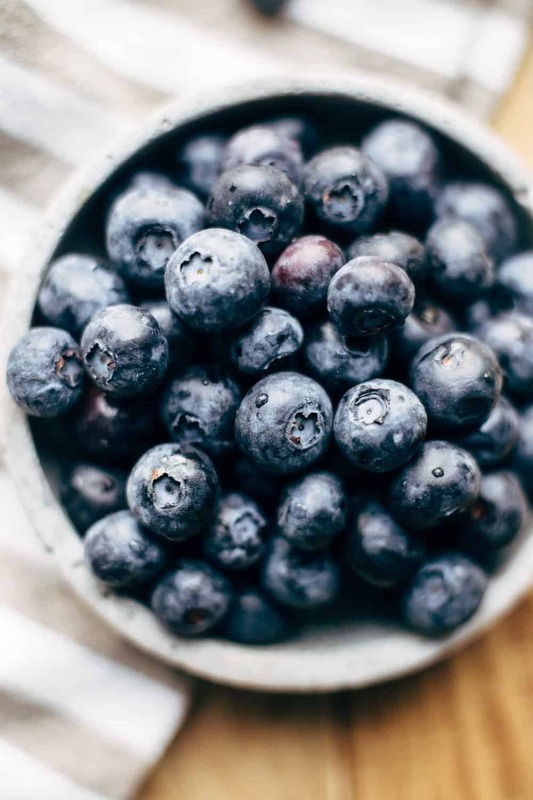 These adorable little blueberries are well known as brain food because they boost memory and focus. 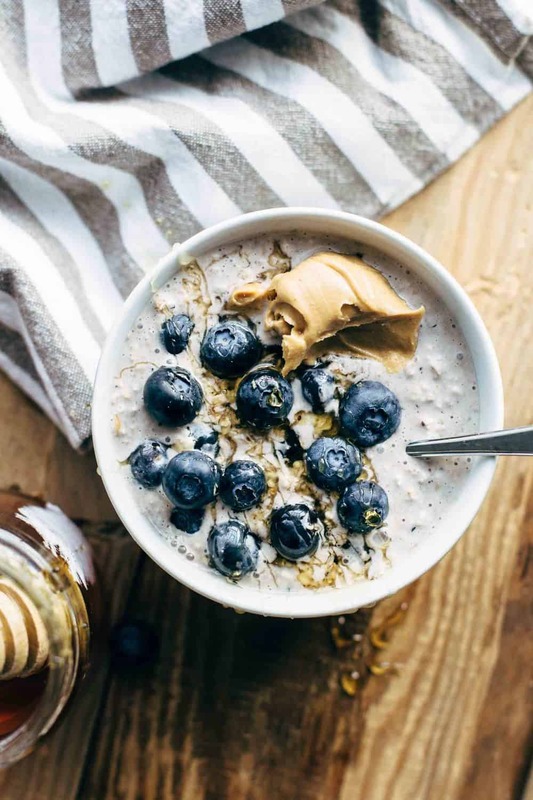 You just need 6 ingredients for these Blueberry Cream Cheese Overnight Oats and they are super easy to make. Just prepare them the night before and store in the fridge for the next morning. It would be a good breakfast or a healthy office lunch. You get vitamins and power to stay on a high energy level to handle the day. They are sweet but without any added sugar. You don’t need sugar to eat sweet. 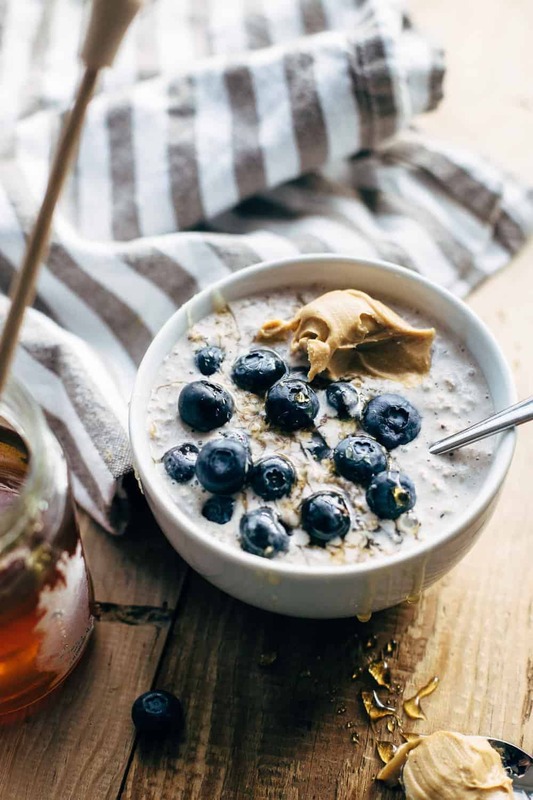 The berries itself and added maple syrup turn these Blueberry Cream Cheese Overnight Oats into a delicate dessert-like power meal. 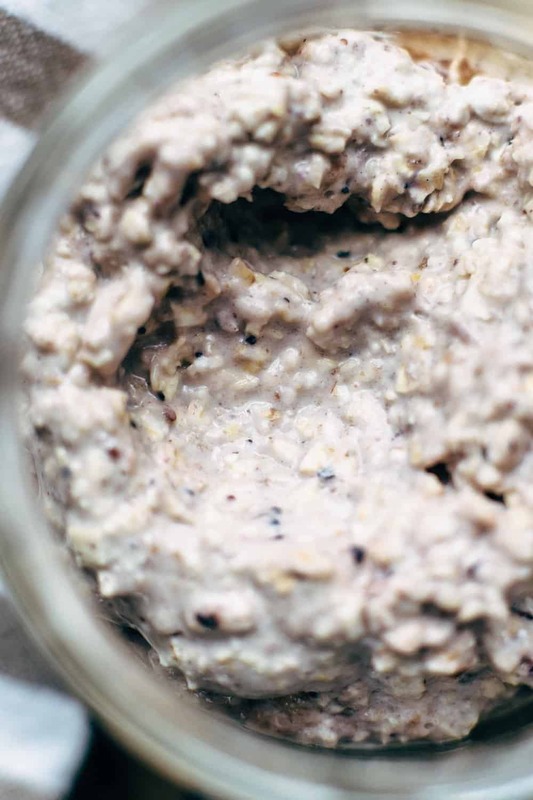 You may also like Strawberry Rhubarb Overnight Oats, Peanut Butter Overnight Oats, Peanut Butter Energy Balls, or click here to see all Naturally Sweetened recipes. 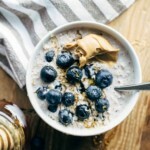 If you make this Blueberry Cream Cheese Overnight Oats recipe leave a comment, rate it and tag a photo #alsothecrumbsplease on Instagram! Would love to see your snap! Blend blueberries with an immersion hand blender and stir together with cream cheese, maple syrup, and vanilla* until combined and creamy. Put with milk and oats into a jar, stir to combine and store in the refrigerator overnight. Add additional milk before serving if desired. Add toppings of your choice.